Projects: I am constantly working on new Children' s Books at the office. Outside of that work, I am prepping some new personal fantasy pieces, and getting excited for the 1 Fantastic Week workshop in November! 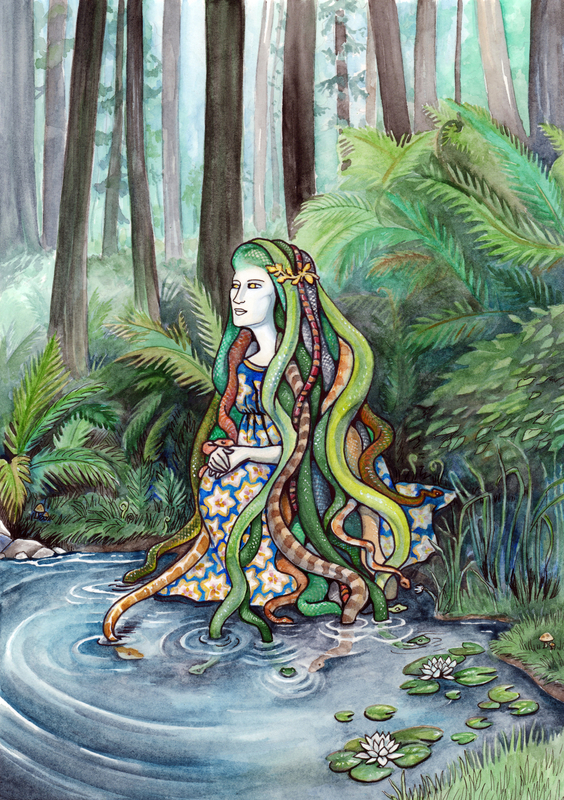 I just had an idea pop into my head one day of Medusa and her snakes taking a little breather by a tranquil pond. I loved the idea of her taking a break from her run of the mill "spreading evil" kind of day. I created it with watercolor and ink with gold paint embellishments.